Taiwan's EVA Airways signed a deal on Tuesday worth more than $6 billion for 26 Boeing jetliners, making it the island's biggest ever single commercial plane purchase. The Taiwanese carrier will buy 18 787-10 Dreamliners -- Boeing's most recent model in its family of long-haul jets -- and two 777-300ER (extended-range) aircraft. The agreement also gives EVA Airways the option to buy six more 787s. The order is the largest ever single commercial airplane purchase in Taiwan aviation history, Boeing said in a statement Tuesday. "With the 787 being the most technologically advanced airplane in the world today, (EVA is) certainly moving up on the innovation scale and revolutionising air travel once again in Taiwan," Boeing vice chairman Ray Conner said at the signing ceremony in Taipei. "Taiwan has an advantage in its geographic location. 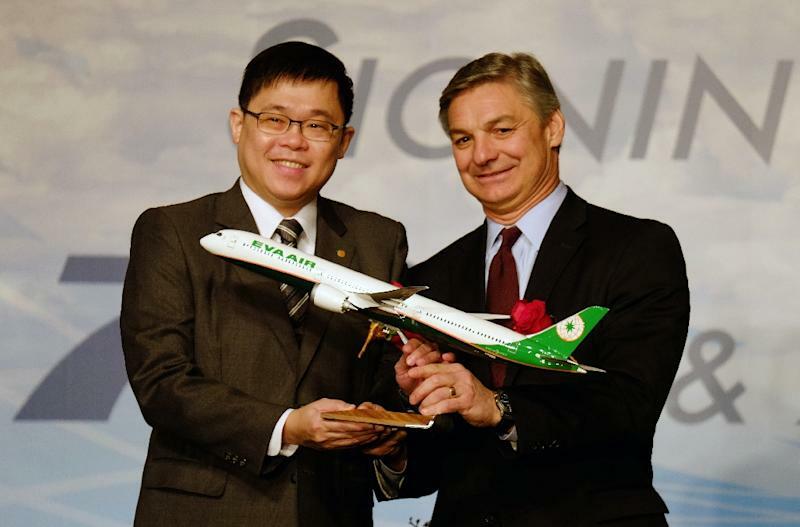 We are very positive on the future development of civil aviation here," added EVA Airways president Austin Cheng. The expanded fleet will help EVA compete with regional rivals and add routes in new markets including North America, he said. EVA chairman Chang Kuo-wei declined to say how much will be paid for the planes -- to be delivered starting 2017 -- but only that Boeing gave a "very good price." The $6-billion price tag is according to current list prices, Boeing said, though aircraft manufacturers usually offer special deals on large orders. The airline was choosing between the 787 and Airbus' A350, but settled with Boeing because the specifications were "more suitable", Chang said. EVA Airways is one of the two main airlines in Taiwan and currently operates more than 37 Boeing aircraft. Its 69-strong fleet also includes 30 Airbus planes. While relatively unknown outside the region, the Taiwanese carrier has differentiated itself with planes featuring the iconic Japanese cartoon character Hello Kitty.